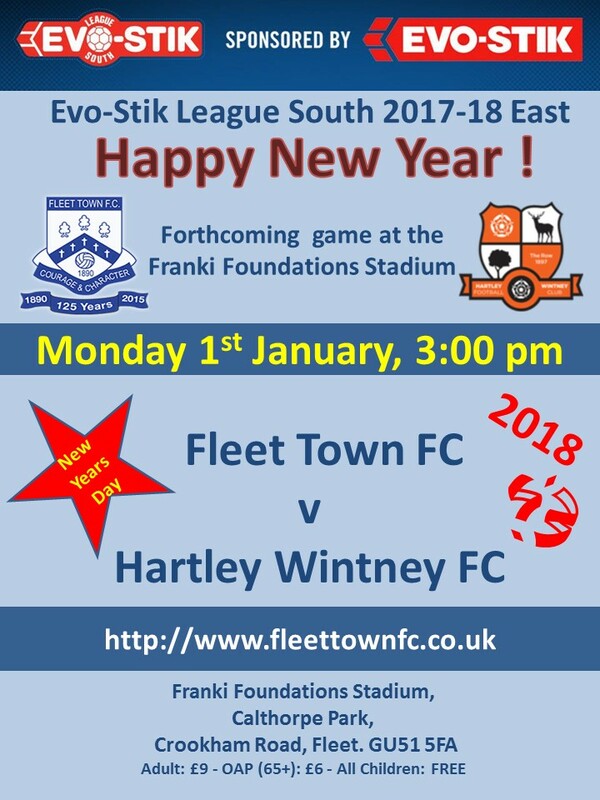 All those involved in Fleet Town Football Club wishes you, the Supporters, a great 2018. See you all on New Years Day,kick off 3pm . We would also would like to extend our best wishes for 2018 to all the Ladies, Colts, Under 18’s, and first team ; players – coaches and backroom staff . A big THANK YOU to you all for your efforts during the past year.